With Susie having a good neuro-oncology appointment, we set out on a two week road trip heading up to Minneapolis and over to the Black Hills of South Dakota, estimated at 3,500 miles. Our first leg was a short drive to Dallas, where we visited with Susie’s Aunt Leona, Uncle Virgil and Cousin Paul. We had a nice visit. Susie even watched the cowboys play against the colts. We enjoyed her cheering for both teams. Our next leg was visiting a childhood friend of mine in Missouri for the solar eclipse. Missouri State University did an excellent job organizing the eclipse event in their stadium. They had children’s events on the field, water stations throughout and the university handed out eclipse glasses for free. We greatly enjoyed getting to know my friend’s wife and their two kids, especially building a 3D marble maze and checking out their aqua-terrariums. Because Susie found lying down in our back seat unsatisfactory, I lowered the back seat, laid out a yoga matt and a camping air mattress across the length of our wagon. With a quilt and a pillow, Susie was able to alternate between the front seat and the newly assembled back bed. This made our drive to Minneapolis, the northern most point of our journey, much easier for her. Still she slept a lot during our visit w/ our friends Ted and Juliana. I think she found the bed heavenly and their house very homey. We watched a few movies, namely “My Big Fat Greek Wedding” (1 & 2) and “Hell or High Water”. The later movie was watched the night Hurricane Harvey hit the Texas coast. All of us know family and friends who were in the direct line of the storm. It is now a few days after the initial pummeling and we still do not have a good picture as to the devastation. It seems like the flooding just keeps getting worse. We’ve read about how good people have been stepping up and helping out, specifically rescuing people/ livestock/ pets and donating services, food and shelter. 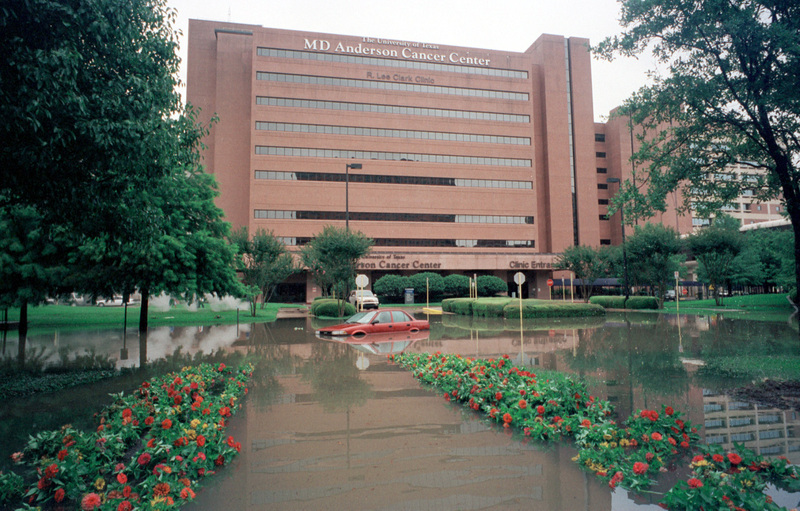 We especially feel for the patients and clinicians associated with MD Anderson, which has been closed due to severe flooding. Only 2 out of MD Anderson’s 10 sites remained open, both are near Austin in Bastrop and Smithville. As we continue our journey, our thoughts and prayers are with the people of the Lone Star state.